Armed with a hot grill and a good idea, you can create an unforgettable dessert. 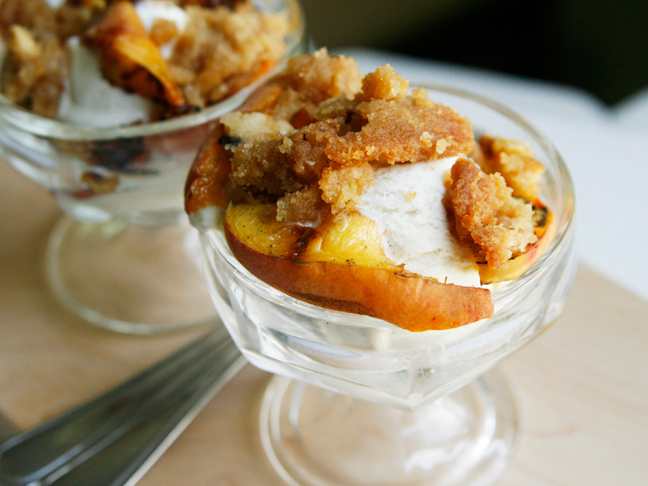 Grilled Peaches and Cream Sundaes with a foil packet streusel topping feature cold vanilla ice cream topped with warm peaches and toasty streusel. A delicious ending to a family meal or a unique sweet treat. Best of all? They are super easy to make. Score one for the super cool mom. 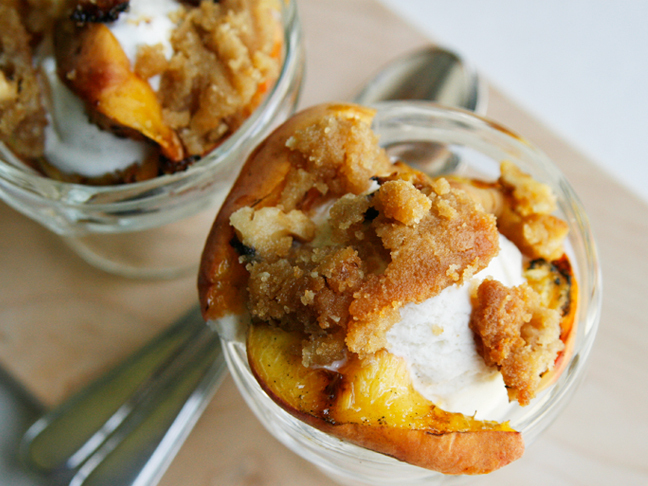 Put a sweet spin on your usual grill routine: Grilled Peaches and Cream Sundaes! Step 1: Heat the grill to its medium setting or prepare charcoals for grilling. 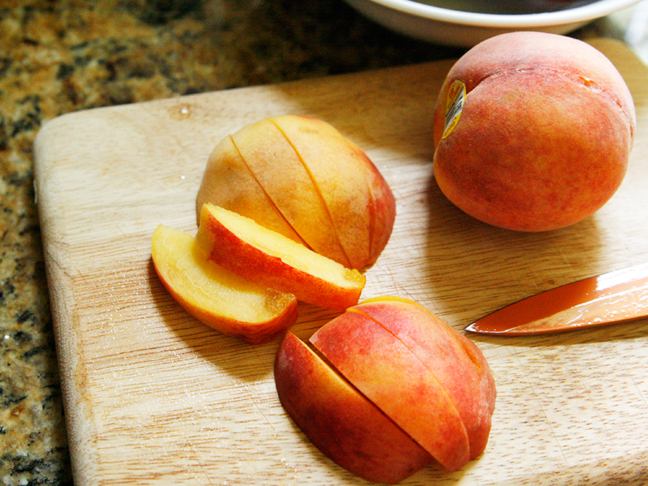 Once hot, place the peaches on the grill and cook for 2-3 minutes per side until seared. 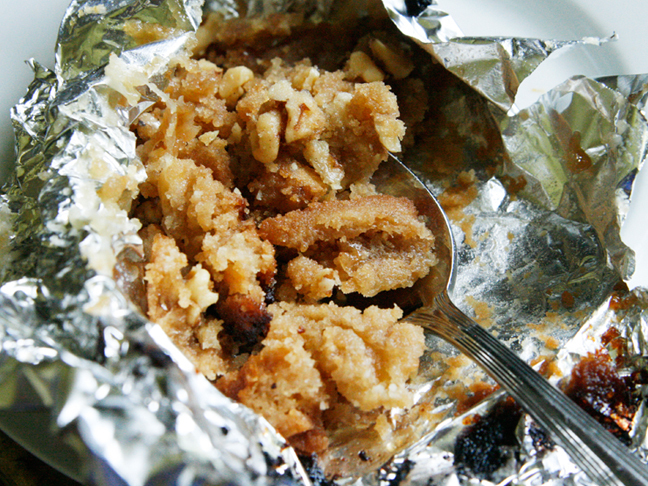 Step 2: Meanwhile, combine the flour, brown sugar, walnuts, butter and cinnamon on a piece of aluminum foil. Seal the edges. Place on the grill and cook for 5 minutes. Remove from the grill and let cool for 5 minutes. 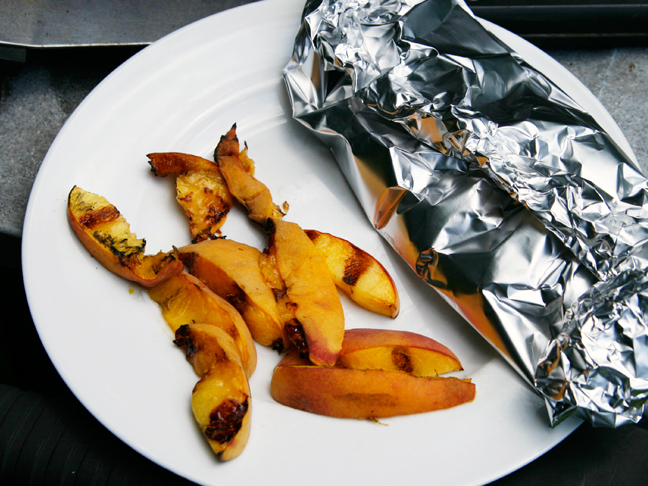 Step 3: Carefully remove the peaches and foil packet from the grill and open the foil (be careful! Hot steam will escape and can burn). Break apart the streusel topping with a fork. Step 4: Divide the ice cream evenly among four bowls. Top each with peaches and streusel topping. Enjoy!